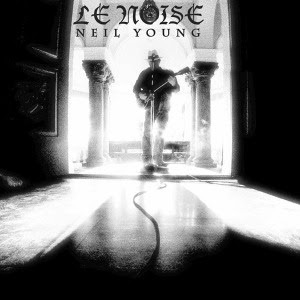 GRAMMY®-winning producer Daniel Lanois has worked with some of music’s most significant artists, but in collaborating with Neil Young on this year’s explosive Le Noise, he found a kindred spirit. 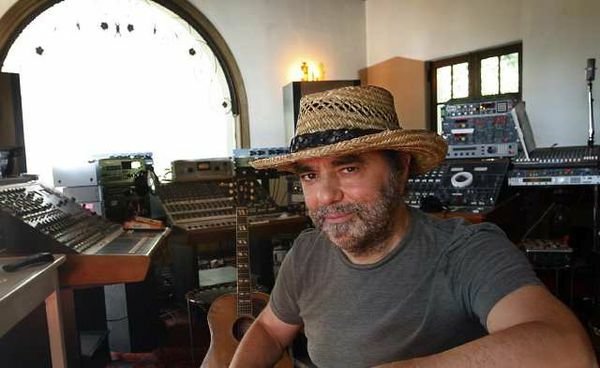 In making the album, which recently earned three GRAMMY® nominations, Lanois not only gained greater insight as to Young’s artistry, but to his integrity as well. What was your objective as far as what you wanted the album to sound like? Well, the objective changed as we went along. It started out as an invitation to record ten acoustic songs and to film him, because I’d been making these little vérité films where the lens captures the performance and no crosscutting between cameras; just one camera, one lens for the magic take. He liked that a lot and said would I do that for him? And I said okay. And he came in with a nice batch of songs. Out of that session came the two acoustic songs, “Peaceful Valley Boulevard” and “Love and War.” Then some other nice ones, a few on piano. Then before when he was getting ready to leave, he said, “Well, I’ve got an electric one. Let’s try one electric one.” And we recorded “Hitchhiker,” and it was pretty much a balls-to-the-wall [song]. Then he went home. We worked for three days under the full moon. He went home and I listened to everything and I thought the two main acoustic songs were masterpieces. I told him that and I told him that “Hitchhiker” was fascinating and might he have another electric [song] or two for the next session? So then he brought in “Walk with Me” and “Sign of Love,” and they turned out great. And I said to him, “Something is happening in the riff department here that I really like with these songs.” There’s always some action in the bottom, very riff-built, as is the case with “Walk with Me.” I said, “Okay, we have a chance to be lean and mean here, rockin’, even in the absence of a rhythm section, because the natural inclination would be to bring in a drummer. We thought about it, but then I resisted suggesting that because I found something cool about just one man standing — even though we’d strayed from the acoustic idea. Then we agreed: no overdubs, just sounds. Sonics are allowed, not overdubs. And we found a few cheap tricks that worked in our favor. There’s this automatic bass machine that I plugged in, seemed to work a good half of the time. It’s just really an octave machine. Then I supplemented that with wherever the bass machine had been tracked with another box that I had here, these old Taurus pedals that I had, and I mimicked the sound of the bass machine on the Tauruses… I meticulously went through all the tracks and popped in the right notes. Consequently there’s this great bottom on the project, but you don’t get the sense that there’s a bass player going for it. There is a percussive push to it. Yes, there is a percussive push to it, like on “Walk with Me,” especially, [like] little jolts of bass without having a bass part. And he loved it all. The more I did, the more he loved it. [Laughs] He said, “Do more! Do more!” And I came up with that crazy ending of “Walk with Me.” That’s a completely fabricated thing out of my dubs… The opening chord, that’s [from] about halfway through the song. I decided that that’s the spot where the energy really rose to the surface. [I said], “Why don’t we just start there?” And he said, “Well, I’ve never had anybody edit my songs before.” He was pining for some of the lyrics that I’d chopped out so we put them at the end. He was happy with that. You’re known for working with some rather mercurial, headstrong artists: Young, Dylan, Bono, Peter Gabriel. As a producer how do you work with that kind of artist without extinguishing their creative spirit and vision? Well, they all have something in common: They all like surprises. And they’re all people who are innovative, therefore searching for a new form of expression. Nobody wants to make the same record they made on the last one. Sonic surprises are safe territory. You’re not challenging anybody on content at that point. You’re just providing color. Oftentimes a gadget, a sound, a riff, something fundamental will make for a really great icebreaker. It becomes a point of interest for everybody in the room. It might be as simple as bringing in a cool pedal for the guitar player. And everyone crowds around like looking at the engine inside of a car. Oftentimes it’s like that where everyone can huddle up and have a bit of fun. Then it becomes part of the menu. I like to make a menu for each record. You can’t plan out a menu. You can make a menu relative to what’s available in the room, what people are coming up with. I find by paying respect to what people bring to the table, a nice exchange builds. People’s backs aren’t up. It should never be a competition. Experience must dictate a lot of this, but when do you know when to say, “This isn’t working?” or “This other idea is better?” How do you know when to switch gears to reach some common ground? Well, I usually encourage all ideas to be brought to conclusion, if you have the time, especially if you’re with a group of folks who want to experiment. Somebody’s got an idea, see it through. It just costs time. And then a few days from the work, everybody listens and it becomes clear what rises to the surface, what the strongest ideas are, and go from there. People are smart so they’re not going to be supporting a weak result. You never know about an idea until you bring it to conclusion. I try to say yes to everything, but in the end my commitment and my care — I think people really feel that I care about them and their music — so I might give some ultimate advice on content, as I did with Neil. So we should look for those tracks on Archives, Volume Two? I think so, yeah. There’s some beauties there. There’s one that I loved called “For The Love of Man.” It’s got a little Roy Orbison in it. Did Neil surprise you at all with what he brought to the table? He surprised me with my requests. 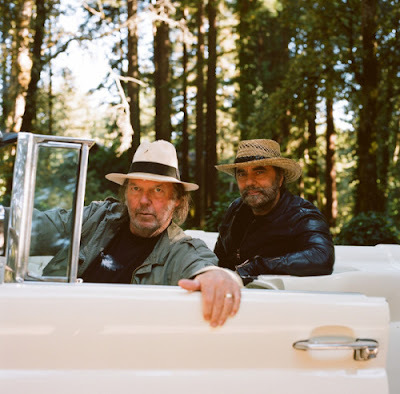 I would say, “Hey Neil, do you think you can come up with another riff rocker or two?” And he’d say, “Well, I’ll sit on the edge of the rabbit hole and see if the rabbit comes out.” But he always came up with them. It’s kind of a record-maker’s dream that you would send off the writer and he comes back with what you asked for. And yet he doesn’t really write songs by instruction; he sort of waits for them to arrive. He’s not a Brill Building kind of songwriter. No, but he gets inspired easy. Some everyday little thing or encounter will provide him with the inspiration to write a song. Just saying hello to somebody on the street, he’ll find something in that encounter that’s fascinating enough to write a song about. One he wrote, “Someone’s Gonna Rescue You”... When he was in Hawaii, he met a fan on the street who said, “Hey, aren’t you Neil?” And they started talking and that fan was saying, “Man, music today leaves me lost. I feel like I’m lost.” And as he walked away Neil said, “Someone’s gonna rescue you before you fall!” A 30-second encounter turns into a song for Neil. Gotta love him.